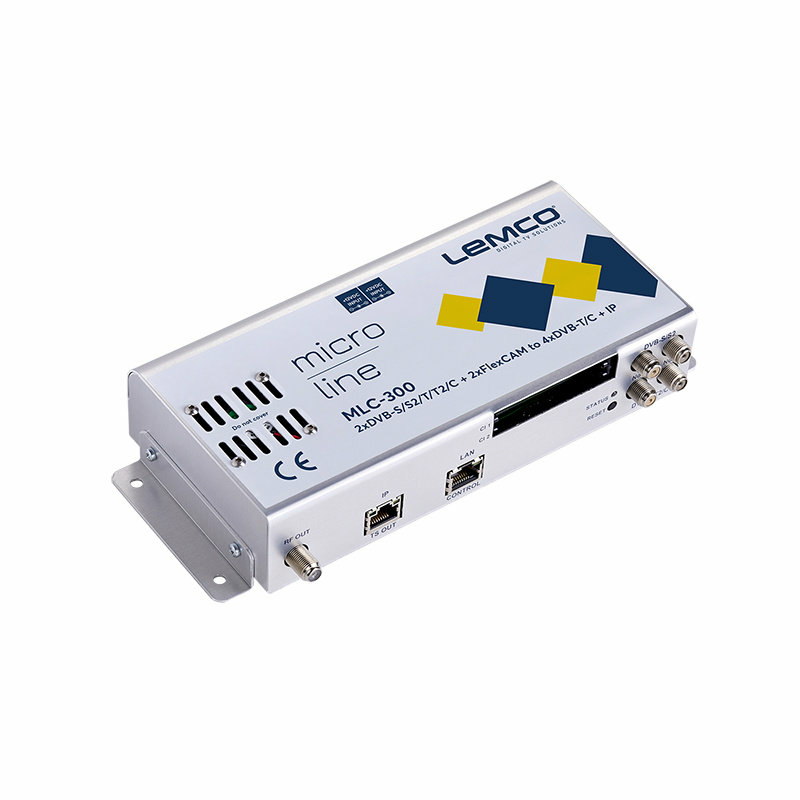 Lemco MLC-300 is a very powerful, all-in-one mini headend device, able to receive up to 2 independent satellite (DVB-S/S2), terrestrial (DVB-T/T2) or cable (DVB-C) signals with 2x CI interfaces and convert them either in 4 x DVB-T/C RF output channels or in IPTV streaming using UDP/RTP protocols multicast/unicast. Lemco made MLC 300 head end supports "pool" technology, meaning that the user is able to select any program from any of the 2 inputs and assign them to any of the 4 RF or IP outputs providing great flexibility. 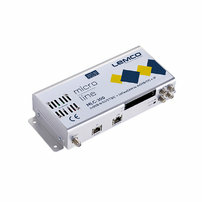 The FlexCAM technology in Lemco MLC 300 provides the ability to the user to connect the CAMs either at the inputs or the outputs of the device. 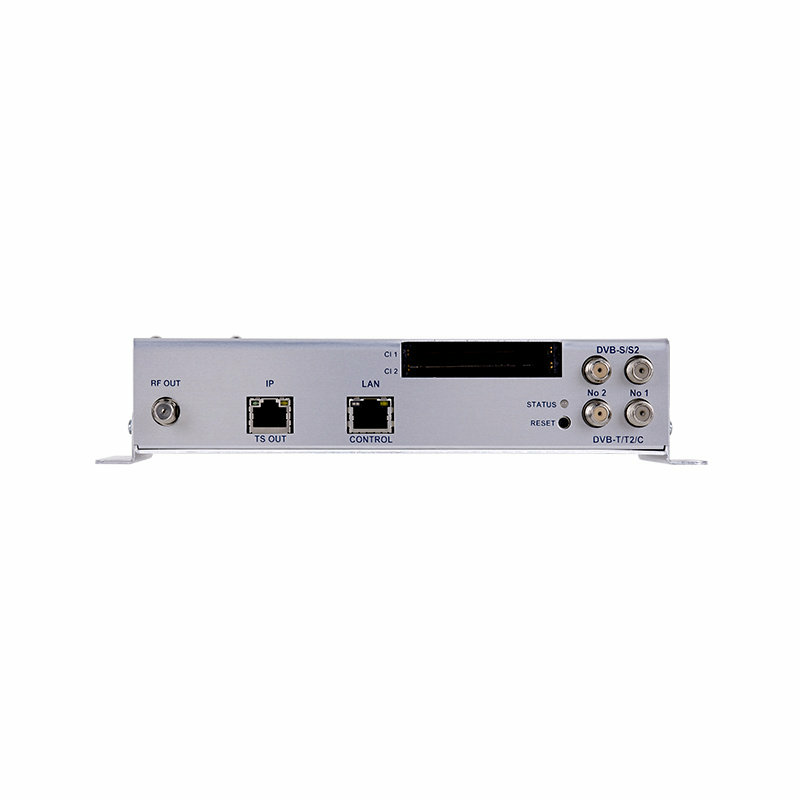 The embedded web server of the MLC-300 provides a very friendly user interface as well as the ability of remote or local control of the device via LAN. Its small size and its powerful features render the MLC-300 the ideal solution in case we want to distribute FTA (Free-To-Air) or scrambled TV programs coming from satellite (DVB-S/S2), terrestrial (DVB-T/T2) or cable (DVB-C) sources to a CATV installation using the DVB-T/C or IPTV technology.